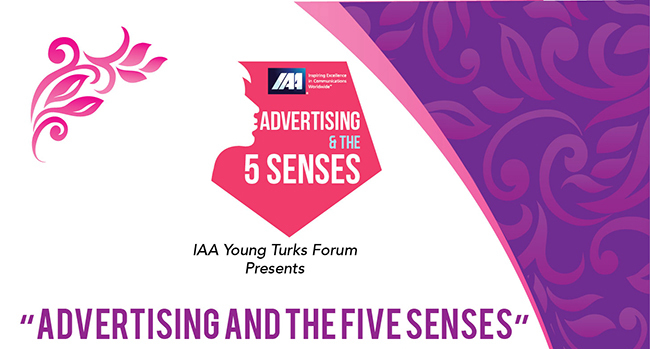 IAA Young Turks Forum launched its new series – Advertising and The Five Senses. 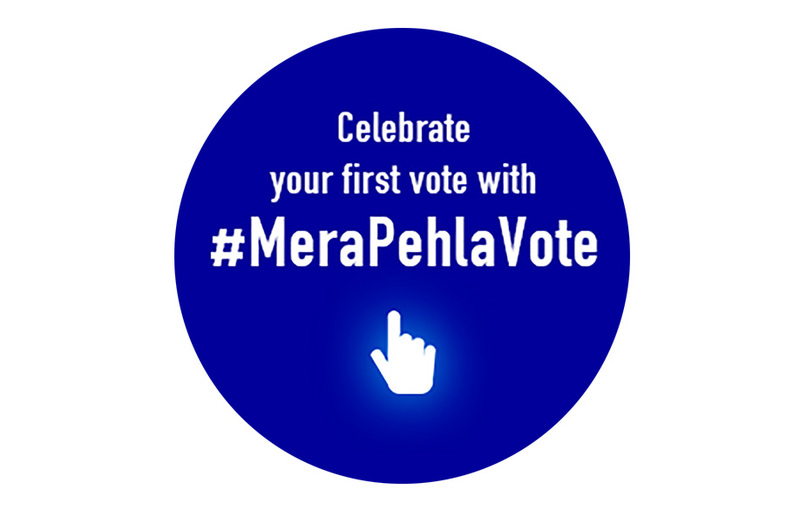 The series, presented by MTV India, highlighted the importance of using all of our five senses in advertising, as opposed to only visual (sight "print advertising") or audio (sound "Radio"). 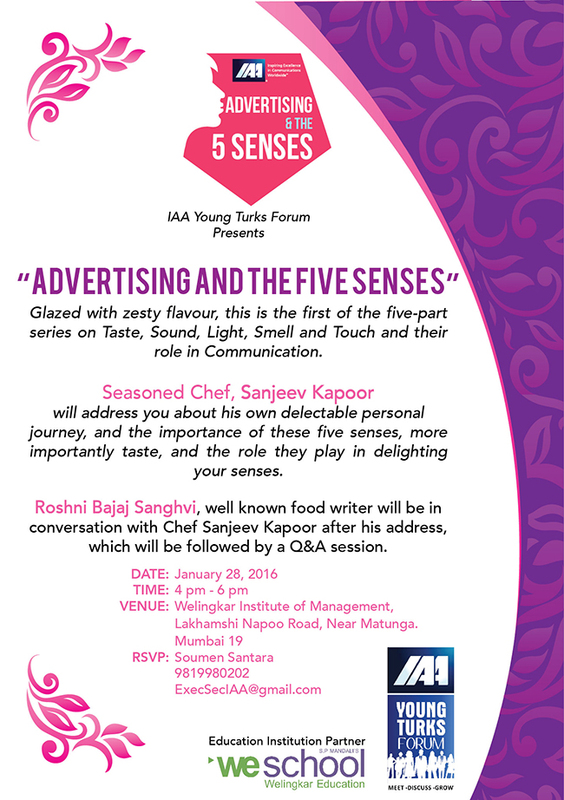 The series will present sessions by industry experts with background in Taste, Sound, Sight, Smell and Touch so the audience could learn about the nuances of these senses as they relate to communication and together they can add immense value. The first session was with celebrated Chef Sanjeev Kapoor, who spoke about the importance of all five senses coming together to make the food experience wholesome. He said that 70-75% of food experience is enhanced by the smell and not taste alone. And look of the food adds to the appetite value of the food as does the touch and feel of food. Roshni Bajaj, well known food critic engaged in an interesting conversation with him. The session was attended by 70 -80 students.